Gravity Kills was the next big thing back in 1996. That is until 1997 came along. Hear them, Guns N’ Roses and more with Bottom Feeders. 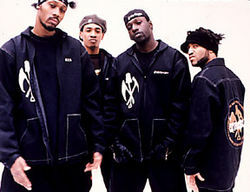 In the tiny rap genre of “horrorcore” there was supergroup Gravediggaz. The Grym Reaper (Too Poetic) was a relative newcomer but he was joined by the Gatekeeper (Frukwan) and the Undertaker (Prince Paul) from Stetsasonic and the Rzarector (RZA) from the Wu-Tang Clan. Their thing was horror, death, blood and gore which sounded really evil and horrific on the surface but if you dug into their albums you’d find a dark sense of humor too. I’m a huge Wu-Tang fan but I’ve never really liked RZA and his lispy screaming so that’s always a turnoff for me. Horrorcore never really caught on as a genre with Gravediggaz and Geto Boys being the only two artists back in the day to make a name for themselves. At some points Eminem was labeled as it as well. However, sadly there is still a group of artists going today that are carrying the horrorcore torch. The Juggalos! Man, I remember being the music director at WTSR in Trenton, NJ at the time Gravity Kills’ self-titled record came out as well as the blueprint for industrial soundtracks, Mortal Kombat. The genre was really heating up at this time and I was certain that the group that stuck to simple one word titles to their songs was going to be the next big thing. Shows what I know. Clive Griffin was mostly a session singer throughout his career but when he got his big break, singing the male part of the Celine Dion duet, “When I Fall in Love” he tried to capitalize on it by releasing his own works. He released two discs in 1993 (his second and third albums) and “Commitment of the Heart” was actually written by Diane Warren so he had the firepower to make it but in the end just didn’t have what it took. Before this, I’d never heard of Andy Griggs and for good reason it seems. “I’ll Go Crazy” is a pretty generic, boring country tune of his debut album. Groove Theory isn’t a bit of an oddity for the fact that they only had one album, since that happened to 1000 bands in the ‘90s but that “Tell Me” hit #5 and they had two more decent singles after that and still never managed to get another album out. This wasn’t just a one hit wonder. Singer Amel Larrieux had a great voice and the group definitely should have been a bigger hit in the neo-soul movement. Group Home was a duo consisting of Lil’ Dap and Melachi the Nutcracker that were part of the Gang Starr Foundation (think Wu-Tang Killa Bees but without the talented artists in the stable). The airplay for “Supa Star” almost certainly came from stations that played Gang Starr and Guru at the time at it definitely has a similar feel to the parent group. I love GnR – always have, always will, no doubt in my mind. But looking back now especially after their induction into the Hall of Fame, their output after Appetite for Destruction really wasn’t that impressive. I don’t think I even knew that “Yesterdays” was released as a single. It fits nicely on “Use Your Illusion II” but by itself really isn’t that impressive. And I am certainly saddened that we all had to be subjected to “Since I Don’t Have You” and even worse is that it led off The Spaghetti Incident? making that hard to listen to right from the start. Continuing with the covers concept was a weak version of the Stones’s “Sympathy for the Devil” from the Interview with the Vampire soundtrack. Even if you’ve never heard of Guy you can clearly hear that this is a Teddy Riley group. (Teddy Riley sighting, ya’ll!). The two tracks here were off Guy’s second album (The Future) which at the time featured both Riley and Aaron Hall to go along with Aaron’s brother Damion. “I Wanna Get with U” may sound like so many other of Riley’s tunes but it as well as all those other New Jack Swing tunes still get me on my feet, dancin’ like a fool. Speaking of New Jack Swing, Whitley Gilbert everyone! 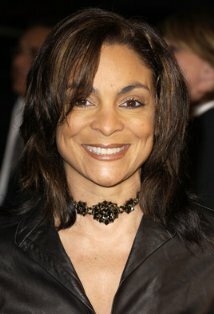 Jasmine Guy was probably one of the better singers among the acting crowd that decided to dip their foot in the musical pool. I certainly thought she’d have more than one album to her credit when this came out, however I always would have thought “Another Like My Lover” would have been a top 20 hit the amount of times I heard it back in the day. Her debut album was produced by Full Force but the single was written and produced by Timmy Gatling, one of the original members of Guy. So one of the dudes from Guy wrote songs for Jasmine Guy. Nice. Guys Next Door were five kids from the Saturday morning NBC show which aired from ’90-’91 after Saved by the Bell. Though it only lasted one season, the Guys were loved by teenage girls everywhere and eeked out this smooth R&B tune that just missed the top 40. Guess they weren’t loved that much. “Teddy Bear” is kind of laughable but certainly typical for the R&B of the time. This is another one of those tracks that I must have heard every hour back in 1993 so to see it at #73 is baffling to me. And to close out the letter G, we have Gyrl. Completely generic R&B with a typical ’97 hip-hop beat behind it.